The comment below was received from Michael Quirke MCIAT regarding a previous post “RIAI + Architectural Technologists | Malachy Mathews“. The BReg Blog Team considered that it merited wider reading. I do not know any Chartered Architectural Technologist who does not hold Professional Indemnity Insurance (PII). It is certainly not possible to be a full member of CIAT without PII. I do not know how one could be expected to be taken seriously in private practice without adequate PII cover. Adequate should include the correct detailed disclosure of all relevant information on the proposal form. Have all those engaged in “Assigned Certifier” roles informed their insurers of the changes to work practices since filling in their last proposal form? If not then you are playing with fire. 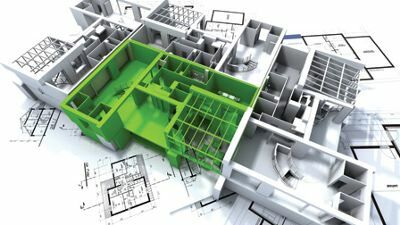 Are Architectural Technologists happy to take on the role of Design and Assigned Certifier? Firstly they are not legally permitted to do so at present as we are excluded under BC(A)R. Besides that I would not generally be enthusiastic to do so. Anyone who has spent a reasonable amount of time reading the legislation and comments about it should now be well aware of the massive, onerous liabilities they are taking on in acting in the Assigned Certifier role. Having worked for a number of architectural, engineering and property management companies over many years that involvied thousands of site inspections before BC(A)R where one was worn to a thread arguing with builders about poor workmanship, I shudder to think of what I would be facing if I acted as an Assigned Certifier in the future i.e. if permitted under amended or new legislation to do so. I am absolutely astounded that so many architects are taking on the role of Assigned Certifier. To do one’s job correctly as an Assigned Certifier will involve a huge number of hours on site; it is a real worry. Take as an example: a 45 sq.m. extension to a private dwelling with two additional radiators linked to the existing heating system. Is it reasonable for the architect to specify, inspect and certify the piping, radiators, thermostats on the radiators, insulation, the point of connection to the existing system, pressure test and test run before it is covered up? Could the Assigned Certifier then be held liable if a subsequent leak in the new pipe work causes serious damage? Was the Ancillary Certificate furnished by the plumber or did you insist the client engage an M&E consultant, even though it was a small project? It seems it will not matter either way, as under BC(A)R the Assigned Certifier is the best target for the client going to court? Is that the case or are you not sure? Well you simply cannot be sure because unlike the plumbing system, BCAR certificates have not been pressure tested yet. There is no precedent. I suspect that any small architectural practice insisting the client engages an M&E consultant for a very small extension will not be very popular. Damned if you do and damned if you do not! Certifying the lot will be, as has been said “a highly dangerous undertaking”. Does the Minister really want to discuss the liability issue? The State will not take the hit under current legislation but somebody will – just be sure it is not YOU! Andrew Alexander recently asked the question of one poster as to how Architectural Technologists are approaching the Assigned Certifier Role. It is good that they understand the serious and onerous liability it imposes. I don’t know that any architects are lining up to take on board the Assigned Certifier Role. Several senior figures in the RIAI have spoken out about it, while some seem to think that Latent Defects Liability Insurance will cover them. I don’t know any insurance cover that sends someone else into prison in your place and that is one of the penalties faced if an offense is committed under the act. More importantly I don’t know any insurance that covers a single person for every defect in a building. On the contrary most insurance policies try to limit the liability solely to the insured and within its terms the insured is precluded from doing many things. Think of the asbestos exclusion for example. Policies will normally only offer cover to third parties where they are under the control of the insured. I have never heard of a policy that covers people for hidden faults in bought in components. This may be resolved by the market initially, in that some firm will take a chance on what they see may be a lucrative new sector. However it will only take one extensive claim to destroy that market. After that its anyone’s guess. Very good points Michael. What I really can’t get my head around is how obvious the need for a third party sign-off is. There was a golden opportunity with new legislation to bring this concept into force and it was missed. To increase building standards you need to increase competence. I don’t see strong evidence of that happening. As far as I’m aware a lot of what goes for CPD isn’t taken seriously. What they have done is enhanced the likelihood of more priory halls, not reduced it.